Miss Kait Online» Blog Archive » Twitter Tea Party! September 5th, 2011 | Twitter Tea Party! Hello my lovely followers! I have a couple of announcements today! 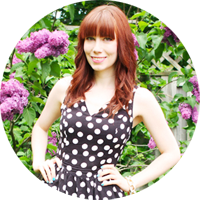 First of all, I gave the blog a little bit of a makeover. Same colour scheme but now it’s 3 columns instead of 2, (I was hoping to clean up the sides a bit. I found it a bit too congested with just two columns), and a different header. I’ve also updated my sponsor / share the love page with some new info. The last announcement is a bit more exciting, I promise…. Yes, you read right! 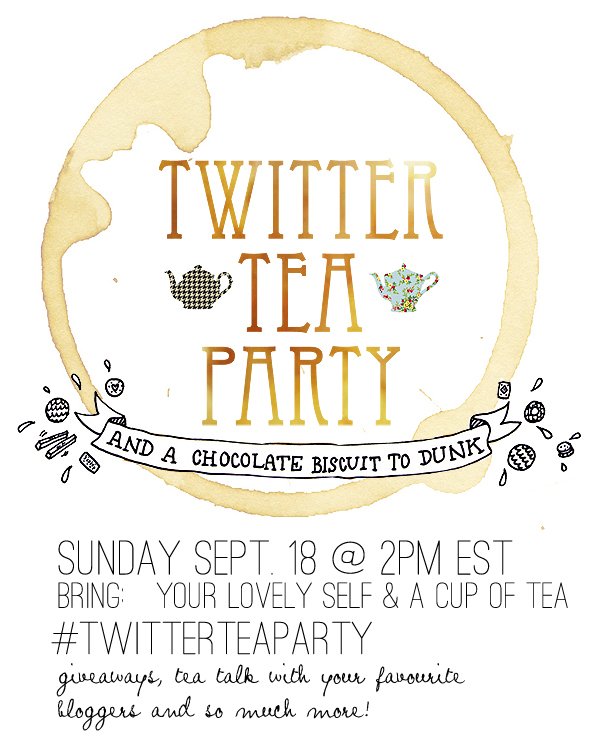 We’re having a Sunday Twitter Tea Party this September 18!! Play dress up and grab your favourite tea. Tweet about what your having, maybe add a photo or two, and chat with your favourite bloggers! There will be some super awesome giveaways too!! Just make sure to hashtag your tweets with #TwitterTeaParty. This entry was posted on Monday, September 5th, 2011 at 9:46 pm	and is filed under A Day In The Life, bloggy business, Giveaways. You can follow any responses to this entry through the RSS 2.0 feed. You can skip to the end and leave a response. Pinging is currently not allowed.